Parshas Metzorah 5779 – Make it O’Fishel! Shaya did not have any dvar torah on Parshas Metzora so I found a beautiful thought from Rabbi Frand on this week’s Parsha. The bulk of last week’s parsha as well as the bulk of this week’s parsha deals with the laws of the Metzorah. The Talmud tells us [Eruchin 15b] that one of the causes of this “leprosy-like” impurity was improper speech (Lashon Horah). In Biblical times, when a person spoke Lashon Horah he received a Heavenly warning that he should “watch his mouth”. This warning came in the form of the affliction of Tzoraas. A person so afflicted needed to be brought to the Kohen. Rav Nissan Alpert, zt”l, comments that when the Torah uses the term ‘Adam’ (as opposed to ‘Ish’) to denote a person, it connotes a degree of importance and prestige. Therefore it seems peculiar that in the parsha of Metzorah, which deals with afflictions brought upon people who speak Lashon Horah, the Torah should begin by using the term ‘Adam’. Rav Alpert concludes that the measure of a person — in terms of whether or not he is a distinguished person — is not dependent on whether or not he engages in Lashon Horah. A person can even be a distinguished person (“Adam Chashuv”) and yet engage in improper speech. What separates the normal person who gossips from the “Adam Chashuv” who engages in Lashon Horah? The difference is the latter’s desire to change. 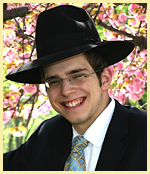 A person can be a distinguished person, and yet stumble in the sin of Lashon Horah. However, as long as he retains a desire to improve himself in this area — he is still a distinguished person. It is difficult to stop gossiping. The normal inclination is not to seek improvement or change in this area. “And he shall be brought to Aharon the Kohen” [Vayikra 13:2] means he has to force himself to go to the Kohen to seek remedy for his condition. He does not really want to go. He goes kicking and screaming.